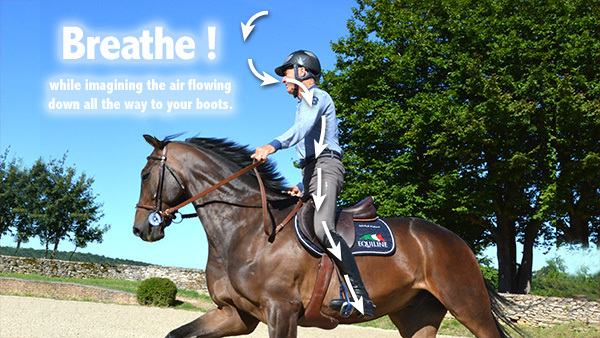 Observe to what extent certain great international riders exaggerate their breathing. Two or three strides off a fence, one powerful exhalation chases away all emotions and brings one back to the present. You yourselves have certainly noticed to what extent breathing can provide a good indication of mental tension. When all is calm, breathing is regular and deep. In the presence of the tiniest emotion, it stops and simultaneously the body stiffens. The rider must know how to use his breathing to achieve the relaxation and suppleness indispensable for the body to work correctly. Most of the time, when one asks someone to breathe deeply they tend only to breathe with the upper part of their body, expanding their chests. Correct breathing means allowing air to enter one’s body as deeply as possible, as if the air were reaching one’s pelvis. Try now. Control your breathing by placing a hand on your stomach: it must rise. Ideally, exhalation must last twice as long as inhalation because it allows muscular relaxation and anchors the body towards the ground. 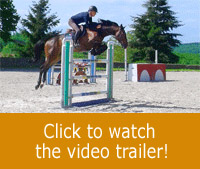 On a horse, the body’s position conditions the mobility of the chest and diaphragm. If you lean forward, with your shoulders and back rounded, it becomes very difficult to breathe deeply with your stomach. Start by practicing at a walk. Look far ahead and breathe while imagining the air flowing down all the way to your boots. You will notice that your muscles relax, you will unwind, your horse will calm down and you will have returned to a state of mind favourable to the supple working of all your joints. When out hacking with a relaxed horse, one’s breathing is calm and regular, one’s eyes look ahead into the distance. You must make the effort to re-establish this same attitude when approaching a fence. To practice, once again start with very simple exercises, for example, working on poles on the ground. Try to discover at what moment you get the feeling that your visual awareness-breathing has changed in some way. 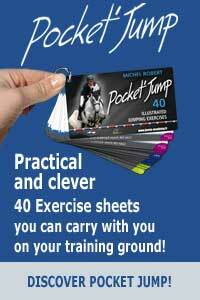 Progressively train over 50 centimetre jumps, then 1 metre, then jump a course at home and finally in a competition. It is obvious that, when competing, your breathing will accelerate. The effort is greater, but one’s frame of mind must remain the same. Learn to control your mental activity. We will study visual awareness in detail, but you should already know its influence on the rider’s relaxation is crucial. The eyes can be at the origin of muscular and mental contractions, resulting in blocked breathing and even causing asphyxia. I have at times been able to solve difficult situations simply by working on the eyes and on breathing. Riders wishing to improve thanks to these breathing techniques can refer to yoga and other oriental disciplines.